Keep in mind that just as with most current BMW models, the 4-Series isn't cheap -- especially once you add options. But think twice before adding the large packages, as going a la carte is often the key to keeping prices down. 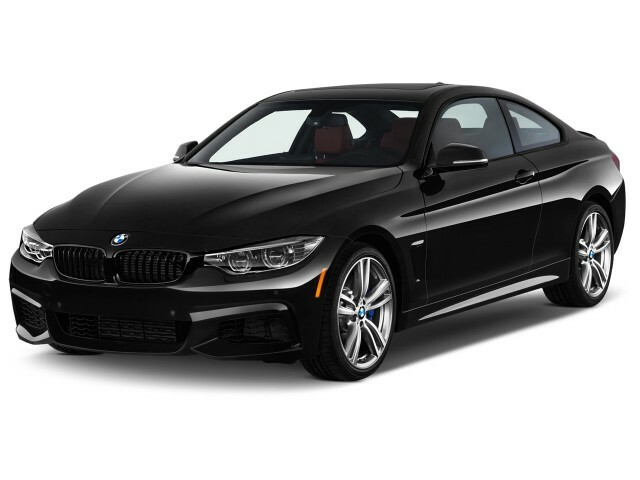 The 2015 BMW 4-Series Coupe and Convertible build on the bones of the 3-Series sport sedan, with comparable performance but a little more flesh and flair. The 2015 BMW 4-Series isn't just a 3-Series-based family of two-door models. 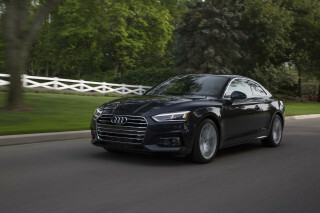 It occupies the same space in the market as the BMW 3-Series Coupe used to, and starts with the 3-Series' underpinnings, engines, and equipment. But the 4-Series is longer, lower, and wider than its sedan counterparts. The shape of the 4-Series is a little more low-set, aggressive, and alluring than the 3-Series Coupes that preceded, and it has more visual 'weight' than the current 3-Series sedans on which it's based. It has the same proportions of the long-ago 8-Series, as well as some of the styling cues of former generations of 3-Series coupes. The cabin's more adventurous, with some sweeping arcs and trim packages that lift its basic-black wardrobe into something a little more couture. It's entirely fair to say that performance for the 4-Series is about on par with what you'll find in the 2015 3-Series -- albeit without the diesel, hybrid, or lower-power 320i versions. The 4-Series fires up sweetly engineered in-line engines, shifts with ease, bear-hugs the road--and plots a clear trajectory into M territory with performance suspension and braking upgrades. The 428i uses a 2.0-liter turbocharged four-cylinder to generate 240 horsepower and 255 pound-feet of torque; the hood of 435i models get the familiar 3.0-liter turbocharged in-line six-cylinder engine rated at 300 horsepower and 300 pound-feet of torque. Rear-wheel drive is standard, but all-wheel drive is available with either engine. A six-speed manual transmission is standard (available only on rear-drive models), while an eight-speed automatic is available. Yes, there's also the M4, and its hugely upgraded power ratings (now 425 horsepower and 406 lb-ft). With a TwinPower turbo six, a choice between six-speed manual and seven-speed M Double Clutch gearboxes, an Active M limited-slip differential, and an available Adaptive M suspension, the all-new 2015 BMW M4 takes after the larger M6 in ride and sophistication, yet it keeps its weight down, to enable a supercar-league 0-60 mph time of just 4.2 seconds (in DCT form). And if you don't go full-on M4, the manual-shifted, rear-drive 428i is as nimble as the 4-Series gets, with 0-60 times of 5.7 seconds and some frisky moves. If you're angling for something more, you'll have to start with the 435i, which is a half-second quicker to 60, with more grip and an available package that goes headlong into M Sport territory with adaptive dampers, lower ride height, and sport brakes. Steering remains a dull spot no matter what, though. Ride comfort and a quiet cockpit are two areas where the 4-Series makes good on its grand-touring hypothesis. It adds layers of charm as BMW adds interior trim options; standard-issue trim is pretty dark and drab. The sport-seat option is a no-brainer. The back seat? It's something to avoid, if you're of any above-average dimensions. The 4-Series hasn't been crash-tested, but each one has the usual safety gear. BMW offers rearview and surround-view cameras as options, along with parking sensors and adaptive cruise control. Equipment and features are grouped into those &quot;lines,&quot; trim packages with specific themes. M Sport, Sport, and Luxury are the three divisions, available on any 4-Series model. As the name implies, the Luxury package adds upgraded leather in the cabin, a choice of three interior wood trims, unique color combinations, and exterior high-gloss chrome accents. As for infotainment, the 4-Series' iDrive system is more powerful than ever, but some of the power comes from new interface layers, like voice commands and touchpad input. It's still something to grow accustomed to over a period of time--one best measured with a calendar. The convertible 4-Series has a folding hardtop which can be raised or lowered in 20 seconds, even if the car is moving at up to 11 mph. The top stows more neatly, which preserves 7.8 cubic feet of luggage space when it's tucked away, or 13 cubic feet when it's raised. The rear seat folds down to extend the trunk space, and BMW fits the convertible with a windblocker, neck warmers, and extra sound insulation to extend the top-down driving season. Also on the way later in the year is the 4-Series Gran Coupe. It's a four-door with a fastback profile of the 4-Series. For 2015, Bluetooth audio streaming is standard. Anthracite wood trim is an option, and Oyster Dakota leather is offered outside of the Sport line and included in Premium Package models.There are a number of other packaging changes for technology options. The 2015 BMW 4-Series is a pretty car, though neither especially distinctive nor exotic, in BMW's timeline of eye-catching two-doors. Every luxury coupe has to answer the same question: Is the 4-Series handsome enough and daring enough to be steered away from the sedan on which it's based (in this case, the esteemed 3-Series sport sedan)? The answer isn't entirely clear here. The shape of the 2015 BMW 4-Series reminds us of the old 8-Series, and past 3-Series coupes as well. The rear roofline's kink is classic BMW, the side sculpting not so deeply gouged. It's more elegant, like a Regal or an F-Type or-shut your mouth-a Mustang. At the front, the 4-Series gets downright adventurous, with all its huge air intakes and a low roofline. The glass-to-metal ratio is spot-on, the stance still decathlete, and the shoulder line still creased like a great dry cleaner had the final say. Inside, the 4-Series leaps forward from the 3er coupe past. The appealing driver setup gets walled off by arcs of wood and plastic and metal. The cockpit sweeps organically around the driver smartly, and more handsomely than it does in the 3-Series or in some rivals. The 4-Series' cockpit tends to get dominated by the wide, bright screen that rides on the dash permanently--where you expect it might tuck itself away-and by the much larger iDrive control knob-but you can ease that clash by applying certain trim packages. 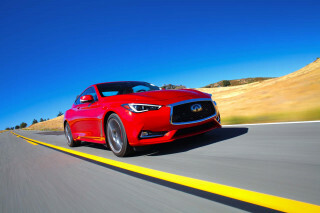 Sport cars have blacked-out details and red accents, while Luxury models have polished wood trim and Modern coupes wear grey or black leather and satin-metal and wood trim. The 4-Series numb electric steering is a cause for grimaces, but otherwise its performance is a notch in the bedpost for engineers. BMW went to great lengths to give the 4-Series a different shape, but its performance doesn't stray from the 3-Series benchmarks. It's a sweet-shifting, hard-charging, road-gripping delight that leaves plenty of room for an M edition. Gone are the hybrid and diesel versions of the 3-Series, no detuned turbo-4. The two engines offered are a 240-hp turbo-4 displacing 2.0 liters, and twisting out 255 lb-ft of torque; and a 3.0-liter turbo-6 with 300 hp and 300 lb-ft. With the former, 60 mph arrives in 5.7 seconds; the latter does it in 5.2 sec. Top speed on both reaches 155 mph. Either engine pours out power from near idle to nearly 5000 rpm in a steady, smooth stream. All-wheel drive is available with either; BMW's default configuration is rear-wheel drive. An 8-speed automatic is standard, and its gears are spaced very well to handle the wide torque plateaus of these engines, and to respond quickly to paddle-shift inputs. A 6-speed manual shifter with light action is a no-cost option. With a lighter, more complex suspension than in its past, the 4-Series coupe and sedan benefit from a stiffer body and a wider range of tuning possibilities that comes with it. It's by default a grand tourer, but adaptive driving systems mean you can tailor its steering weight, shift schedule, and throttle maps. It's happy to loaf along in low-aspiration Comfort mode, but it only truly comes alive in Sport and Sport+ programs. The throttle zings toward redline, the automatic cracks off instant shifts, the steering tackles turns instantly. Of all the changes that have been wrought on the latest 3-Series and now in turn, the 4-Series, the electric power steering system has probably done the most to shake the foundations of the BMW faithful. The standard flavor weights up evenly but quickly, and with the larger wheel/tire combinations of up to 19-inchers offered, steering just feels heavier than it needs to, and follows the crown on the road more than it should. Feedback is lacking. There's a variable-ratio steering rack that can change its ratio; we haven't tried it yet in the standard 4-Series. Yes, there's also the M4. It's blessed with dramatically higher power output of 425 hp and 406 lb-ft) from the inline-6 turbo, and a choice between 6-speed manual or 7-speed dual-clutch gearboxes. 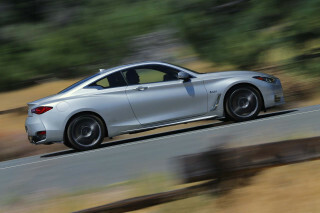 A limited-slip rear differential and an optional adaptive suspension let the 2015 BMW M4 tackle bigger cars like BMW's own M6 in sophistication, but it's still smaller and lighter, which keeps 0-60 mph times down around 4.2 seconds. The rear seat in the 4-Series is semi-senseless; although the trim packages are warm and well-conceived. The 2015 BMW 4-Series might have a lot in common with the 3-Series sedan, in terms of engineering and what's underneath, but it doesn't use its identical wheelbase or overall length to allow as much interior space. It's a half-inch wider than the sedans, but the roofline is some 2 inches lower. With those numbers in mind, the back seat of the 4-Series isn't comfortable at all for most adults. Anyone over five feet tall will feel cramped, so it's best not to plan on using the two-door as an everyday car for four. Gran Coupes are better, but still don't have the head room of a traditional 3-Series sedan. As for the front, it's a different story completely. Seating is low in the 4-Series, and you grip an SUV-sized steering wheel. You'll learn to love the seatbelt presenter because reaching for the belt every time would lead to rotator-cuff problems. No matter which model you're considering, you'll get firm, comfortable front seats, of the sort we'd choose as desk chairs; although to be fair they don't have the same level of adjustment and side bolstering of the sport seats (which can have heating and ventilation) offered with the M Sport package. Cargo space is great, which makes the 4-Series an ideal weekend machine for two. Its trunk is carried over almost intact from the sedan, and finally, BMW has fitted enough storage space inside the car, from useful cupholders to its glovebox. The interior gives us some minor fits. On base cars, the black-on-black plastic scheme looks drab and depressing; it's amazing how a few stylish add-ons like contrast-stitched leather can liven it up. The display screen for iDrive sits on top of the dash like an unmounted LCD TV, but the display itself has pretty high-resolution graphics. As for convertibles, the hardtop mechanism can stow or restore the roof in 20 seconds, even if the 4-Series is puttering along at less than 11 mph. Trunk space of 13 cubic feet only slims down to 7.8 cubes when the top is put away. 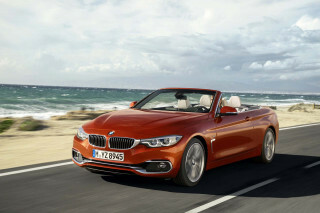 BMW has added warm-air vents at neck level and a standard windblocker to lengthen the convertible's useful driving season. BMW has a great record for safety with the 3-Series, but there are no ratings yet for the 4-Series models. The BMW 4-Series has no crash-test data reported on its behalf. Each copy comes with the usual standard safety gear, as well as a system that notifies first responders when the car is involved in a crash. Other choices are maddening. Bluetooth is standard, but BMW makes a rearview camera an option. Surround-view cameras are available, too. Other safety options include parking sensors, LED headlights, adaptive cruise control, automatic parking assist, blind-spot monitors, and a lane-departure warning system. The 4-Series can be optioned as a premium coupe or a lavish grand-touring machine. The BMW 4-Series comes in Coupe or Convertible body styles, with rear- or all-wheel drive, and with a choice of four- or six-cylinder engines and six-speed manual or eight-speed automatic transmissions. As of the 2014 model year, prices ranged from about $42,000 for the base 428i Coupe to just less than $50,000 for the all-wheel-drive 435xi. Convertibles were priced from just below $50,000, and can be configured beyond $60,000. All versions come with Bluetooth, automatic climate control, and power features. Navigation is an option, and it's governed by iDrive, as are most audio and phone functions. The iDrive system still uses a knob-style controller, but this year BMW's added a touch-sensitive surface that accepts handwritten input, just like an old-school Palm Pilot. It's progressed over the years from infuriating to annoying to conquerable. Just be ready to spend a lot of time learning its ins, its outs, and its quirks. The Luxury package adds upgraded leather in the cabin, a choice of three interior wood trims, unique color combinations, and exterior high-gloss chrome accents. The Sport line replaces the chrome with high-gloss black exterior cues, red-stitched leather in the interior, and red highlights in the instrument cluster, among other upgrades. The M Sport line gets a unique M aerodynamic kit, an optional exclusive Estoril blue exterior color, Shadowline exterior accents, an anthracite headliner, sport seats, and an M-themed appearance. For 2015, Bluetooth audio streaming is now standard, and the so-called Enhanced Bluetooth (with a USB port) is now a standalone $500 option, Fineline Anthracite wood trim is now widely available, and Oyster Dakota leather is offered outside of the Sport line and included in Premium Package models.There are a number of other packaging changes for technology options. You won't necessarily feel like a conspicuous consumer in the 4-Series, lineup, which achieves up to 26 mpg combined. 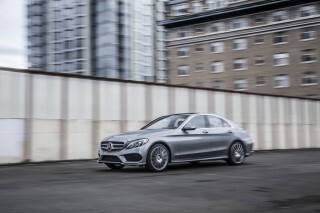 Even the base 428i equipped with the eight-speed automatic earns up to a 27-mpg rating on the EPA combined cycle; with the six-speed manual, the 4-Series still earns 26 mpg combined. Adding all-wheel drive to the automatic puts the 428xi at 26 mpg combined. Gas mileage isn't even that awful with the very powerful twin-turbocharged six-cylinder, either. The 435i with the automatic earns an EPA-certified 25 mpg combined, or 24 mpg with all-wheel drive. 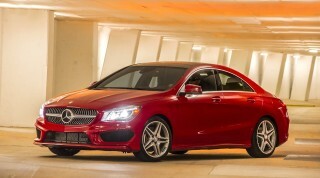 With the manual transmission and either rear- or all-wheel drive, the 4er posts a 23-mpg combined. No matter which of these models you choose, BMW outfits the 2015 4-Series with stop/start and an EcoPro mode, which slows down the throttle tip-in, softens automatic-transmission shifts, and puts accessory and climate-control systems in their most conservative mode. It also has electric power steering, which reduces feedback, but also reduces gas consumption. And it's lost a little weight, too, versus the 3-Series coupe it's replaced. BMW does draw the line somewhere in the transition from sedan to coupe. While the 3-Series lineup has a diesel and even an ActiveHybrid edition, there's no such thing in the works for the 4-Series. I have a 428 gran coupe. When I walked into the dealer I had no intention of making a purchase. I was just going there to see what the prices were like as I was going to buy a c300. The salesman showed me the... I have a 428 gran coupe. When I walked into the dealer I had no intention of making a purchase. I was just going there to see what the prices were like as I was going to buy a c300. The salesman showed me the gran coupe and I was sold. It's a hatchback with lots of room inside but a compact exterior. 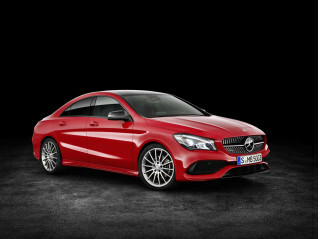 It has so many safety features and cool options that weren't even available on the Mercedes I was smitten as soon as I saw it. 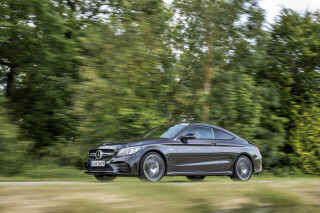 Looking for a different year of the BMW 4-Series?